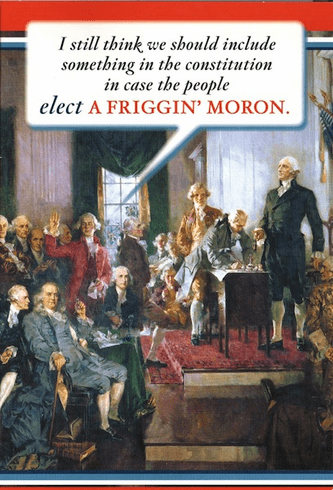 Outside: I still think we should include something in the constitution in case the people elect a Friggin' Moron. Inside: Your birthday constitutes a celebration! Happy Birthday!